Our Protea arrangements dry beautifully and naturally, making your gift a keepsake. For questions about shipping, see our ORDERING PAGE. 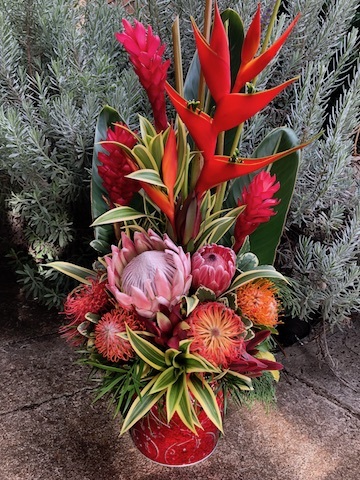 A festive growers mix tall arrangement of proteas and tropicals that will WOW your recipient. Arrives as shown in decorative pot.